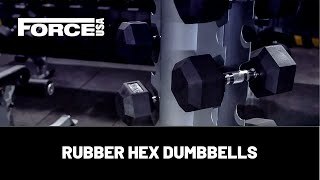 Force USA Hex dumbbells. Solid and sturdy. Perfect for a sailor at sea as they won't move about. I love them, perfect for what I was after. Great dumbbells. Purchased a variety of sizes for my PT business. Look fantastic!